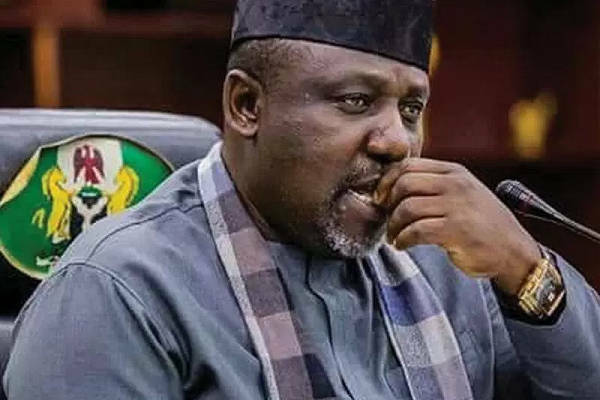 The factional chairman of the All Progressives Congress in Imo State, Chief Dan Nwafor, has described the suspension of the state governor, Owelle Rochas Okorocha, from the party as illegal. Nwafor, who addressed journalists at the state APC secretariat on Friday, insisted that the suspension was null and void. According to him, he (Nwafor) had already suspended the chairman of the State Caretaker Committee, Prince Marcellinius Nlemigbo, even before he (Nlemigbo) announced Okorocha’s suspension on Thursday night. He declared that Nlemigbo lacked the authority to suspend the governor. “I was duly authorised and inaugurated by the National Working Committee of the party headed by the party’s National Chairman, Adam’s Oshiomhole. “The photographs and video clips to that effect are in the public domain. What authority does Nlemigbo have to suspend our amiable governor? 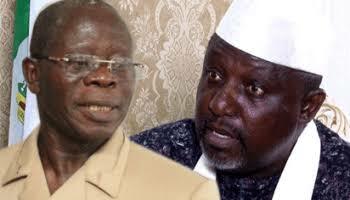 As far as Imo APC is concerned, that suspension is null and void,” Nwafor said. He noted that there was a subsisting court case in the Federal High Court, Owerri, in which he sued Independent National Electoral Commission, Oshiomhole, Nlemigbo and others, adding that until the matter was decided, Nlemigbo does not have the right to parade himself as the party chairman in the state. He also declared that Okorocha remains the APC Senatorial candidate for Imo West. He further described the Mathew Omegara-led disciplinary committee constituted by Nlemigbo as a ‘Kangaroo committee’, alleging that those appointed into the committee were not party members. Nwafor also attacked Oshiomhole, saying that he lacked what it takes to be the national chairman of a ruling party like the APC. “Oshiomhole is a square peg in a round hole, he does not mean well for the APC,” he said. Meanwhile, it was gathered that despite the suspension, Okorocha has commenced campaigns for the senatorial election.